When a nuclear plant in Chai Wan, Hong Kong is targeted by a hacker (van Wageningen) and the cooling pumps made to explode and cause a radiation leak, the Chinese authorities hand over the investigation to cyber warfare officer Chen Dawai (Wang). When the same hacker infiltrates Chicago’s Mercantile Trade Exchange, causing soy futures to rise, it becomes clear that he’s using a Remote Access Tool (RAT). Dawai insists that that he be allowed to work with the FBI on a joint investigation, and he travels to the US where he joins forces with Agent Carol Barrett (Davis). Once there he reveals that the original code for the RAT was written by himself and another hacker named Nick Hathaway (Hemsworth). Hathaway is currently in prison for committing computer crimes; Dawai wants him released to help with the investigation. With Nick on board – though security tagged and accompanied by US Marshal Jessup (McCallany) – and with Dawai’s US based sister, Lien (Tang) helping as well, they discover that the soy futures hack was designed to siphon off nearly $75 million, but they don’t know why. When they discover the hacker has had a mole in the Trade Exchange, Nick and Lien find he’s been killed but was supposed to meet his boss at a restaurant. Nick finds a clue to the hacker’s identity, while the money is traced to a mercenary named Kassar (Coster). An attempt to apprehend him in Hong Kong fails and several of Dawai’s men are killed. A break in the investigation comes with the retrieval of a data drive from the nuclear plant. Although it’s been corrupted by the radiation leak, Barrett tells Hathaway about a program the NSA uses called Black Widow which assesses corrupt data and is then able to reconstruct it by “filling in the blanks”. Her request to use it is denied however, which prompts Hathaway to use it anyway, hacking into the programme and using it to discover that the hacker’s server is based in Jakarta. At the same time, Lien discovers that the hacker has an interest in a remote site in Perak, Malaysia. Hathaway’s use of Black Widow is detected, and Barrett is ordered to bring him back to the US. Dawai alerts him about this, and Hathaway and Lien (who have started a relationship) attempt to flee Hong Kong with her brother’s help. But Kassar ambushes them. Hathaway and Lien manage to get away and they travel to Perak to see what is so interesting about the site. It’s there that they discover the hacker’s true motives, and devise a way in which they can stop him. It’s always a pleasure to watch a Michael Mann movie. You know going in that it’s going to look beautiful (especially if there are scenes shot at night – and there’s always scenes shot at night), there’ll be a level of machismo that few other directors can attain, some pulse-pounding action sequences, and a storyline that will have been researched for the utmost authenticity. 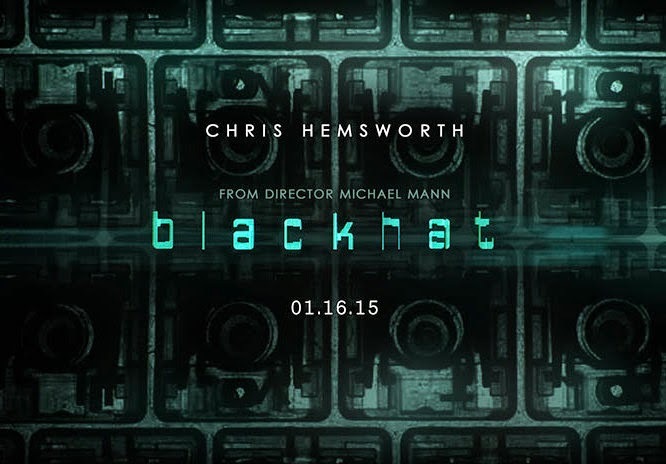 And so it proves with Blackhat, Mann’s first movie since Public Enemies (2009), and a return to the world of modern day criminals for which he has such a proven affinity. However, while Blackhat‘s plot and storyline are drawn from recent events – in this case the Stuxnet computer worm that apparently ruined one fifth of Iran’s nuclear centrifuges in 2010 – and it paints a convincing portrait of cyber crime and how systems can be breached, it badly falls down in its attempts to show just how cyber crime can be detected and defeated. There are several problems with the overall plot that don’t add up, and it’s these problems that stop the movie from being as effective – or gripping – as Mann intended. The first is the coincidental nature of the relationship between Dawai and Hathaway and they’re having written the RAT code. It’s an unnecessary, and clumsy contrivance that asks the viewer to believe that they wrote this code as a test of their abilities and then they just left it on the Internet, apparently unaware of what it could be potentially used for. The second problem is the idea that a felon, serving time for computer crimes, would be allowed out of the country in order to help with the investigation. Hathaway is even allowed to take part in the attempt to capture Kassar in Hong Kong; how was that allowed to happen? All he needs is a desk and a computer – he doesn’t need to be globe-trotting with everyone else. The third and most glaring problem is the way in which senior agents such as Barrett and Jessup allow Hathaway so much leeway in his efforts to catch the hacker. At the point where the Black Widow program is introduced, the speed and the ease with which Barrett goes along with Hathaway’s plan to hack into it is breathtaking for the way it undermines any authority she had up to that point. It would have been a better idea for Hathaway to have done it behind her back, thus making the need to bring him in once his hack is detected that much more dramatic, but Morgan Davis Foehl’s script instead takes the opportunity to throw all further attempts at credibility into the trash bin. And like so many of his colleagues before him, Mann is unable to make looking at computer screens and tapping on keyboards anywhere near exciting. To offset this he focuses on the characters and their reactions to what’s happening on the computer screens, but this is even less exciting, and the viewer is subjected to endless reaction shots that are meant to convey various emotions but ultimately mean nothing as most reactions are ones of surprise or moments when a light bulb goes on over someone’s head. Against all this, the cast do their best but Hemsworth is miscast, his performance only convincing when he’s required to physically go up against the bad guys. Wang and Tang both give earnest performances, but struggle with the script’s insistence on making their characters crime movie stereotypes: he the diligent cop battling professional prejudice, she the hero’s girlfriend (despite being independent and having a mind of her own the script still requires her to “stand by her man” when the going gets tough). Davis flits in and out of the narrative, while you could be forgiven for forgetting that McCallany was there at all, his character’s job to babysit Hathaway at all times conveniently ignored when the script requires it. 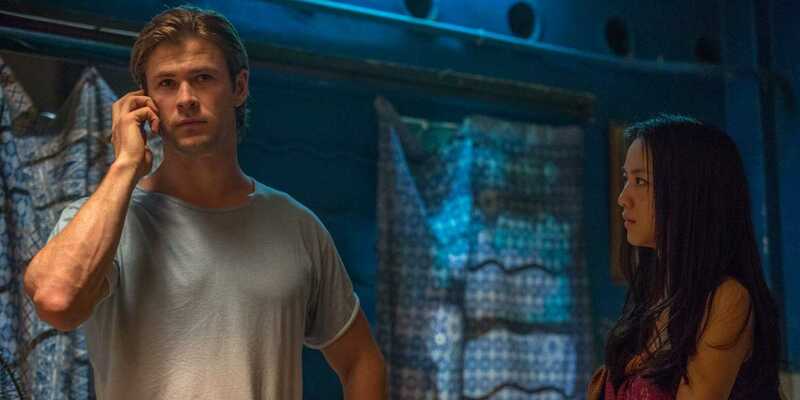 Rating: 4/10 – while Mann is a clever and experienced enough director to keep things moving, there are too many cracks to paper over no matter how quickly he does so; a major disappointment, Blackhat is a reminder that even the most talented of directors don’t always get it right (sadly).